This afternoon in Missouri. 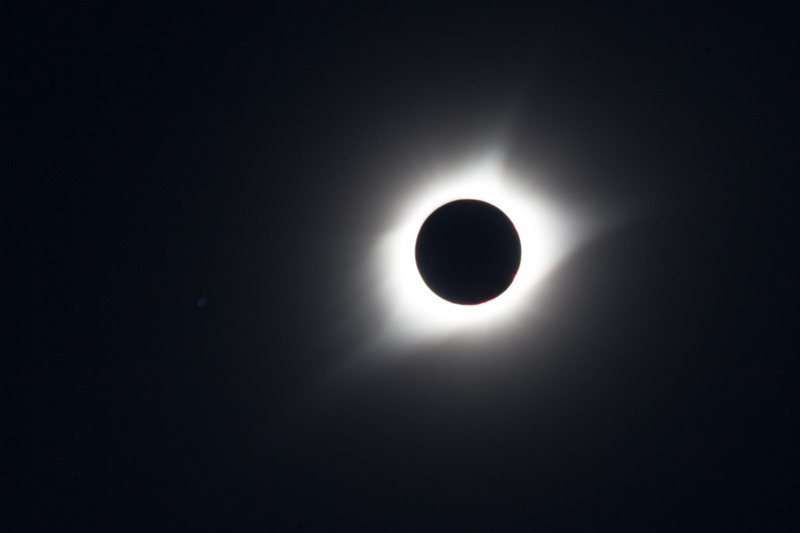 The overcast sky (and rain) cleared about twenty minutes before totality. Michael Bersin. @1:13:34 p.m. Central, August 21, 2017. F 4, 1/30, ISO 200, 200 mm. Lat. : 38.9883° N, Long. : 93.7971° W. Maple Leaf Lake State Conservation Area, Lafayette County, Missouri.